The two-story, approximate 15,900 sq. foot brick building that will house Kickstarter resides at 58 Kent Street and is one of five buildings making up the former Eberhard Faber Pencil Company factory in the Greenpoint section of Brooklyn, New York. The five buildings were designated as a historic district in October 2007 by the New York City Landmarks Preservation Commission. Prior to the historic designation the Department of Buildings issued permits for the demolition and alteration of some buildings within the district in 2005. One permit was to facilitate the construction of a nine-story addition to the building at 58 Kent Street. 58 Kent Street incorporates the remnants of the facades of three factory buildings. The first building is the Italianate style 58 Kent Street, which was constructed by iron merchant and Greenpoint resident Francis Gove in the 1860s and acquired by Eberhard Faber in 1872. The second building, originally 60-64 Kent Street, was designed in the German Renaissance Revival style known as Rundbogenstil and built in 1895 by well known Brooklyn architect Theobald Engelhardt. The third building, originally 66-70 Kent Street, was designed in the German Romanesque Revival style. It was connected to a building on the other side of Kent Street by an iron bridge at a now non-existent fourth story. The scarred brick demarking the location of the bridge can be seen on the exterior of the fourth floor of 59 Kent Street. View of Kent Street from the east side of Franklin Avenue. 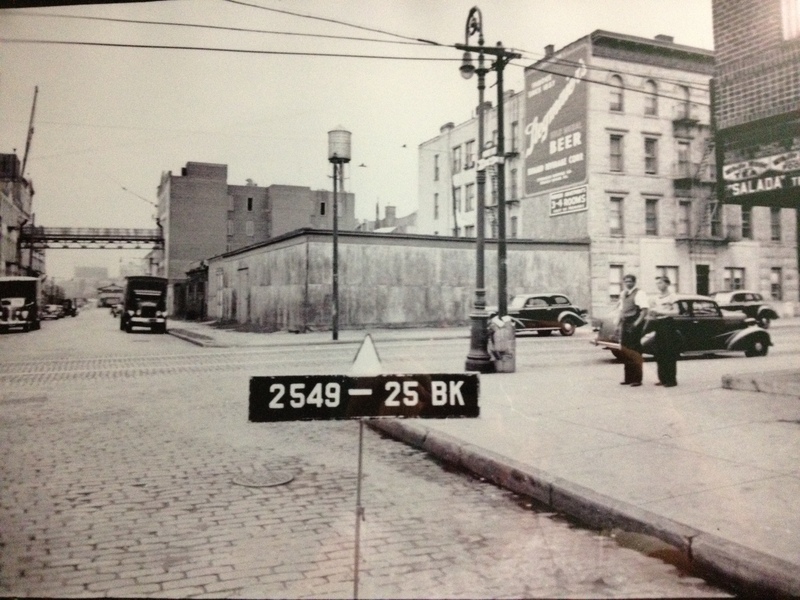 The bridge that once connected the buildings at 58 and 59 Kent Street can be seen. The Eberhard Faber Pencil Company is the oldest pencil manufacturing company in America. The company was founded by Eberhard Faber in 1861 and moved to Greenpoint, Brooklyn after a disastrous fire at the Manhattan plant in 1872. A descendant of the famous Faber family who engaged in the profession of manufacturing lead pencils in Bavaria, Germany, Eberhard Faber is credited with bringing German lead pencil making techniques to the United States. Female factory workers preparing wood for pencil manufacturing in the Eberhard Faber Pencil Company factory, 1920. Courtesy of Brooklyn Historical Society. 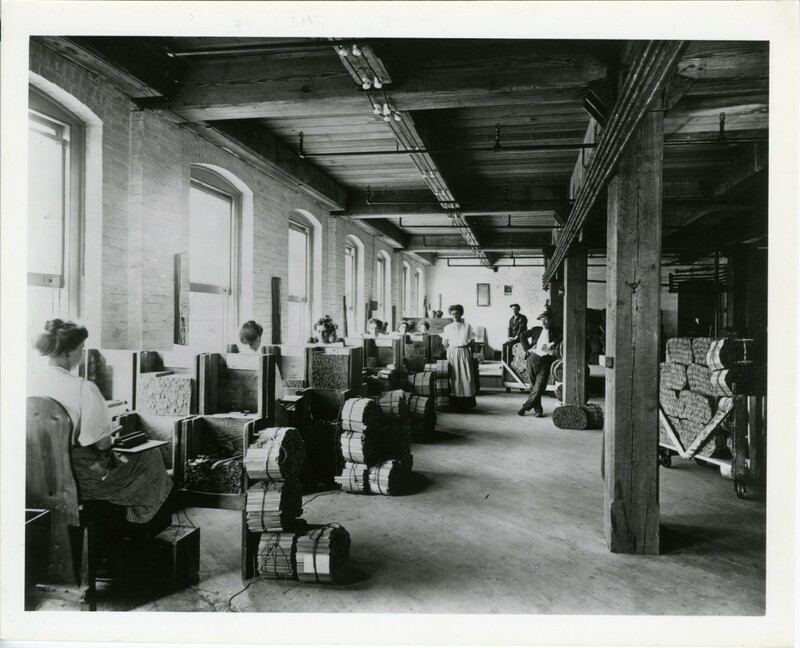 The Eberhard Faber Pencil Company grew to become one of the most important factories in Brooklyn, and employed many workers, most of whom were women. By the time Faber died his factory was the largest of its kind in United States and the Faber name was known all over the world. The Eberhard Faber Pencil Company factory remained in Greenpoint until 1956 when the company’s operations moved to Pennsylvania. 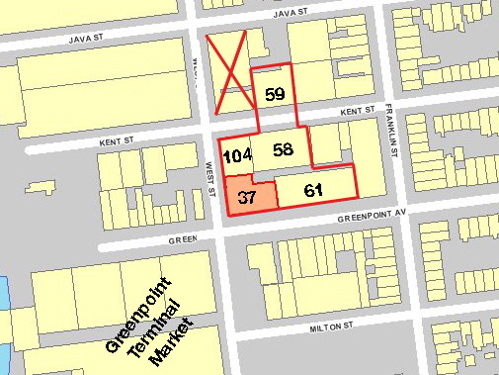 The five buildings that made up the site were largely demolished as Greenpoint’s manufacturing sector went into further decline in the years following the company’s move. Only some of the historic fabrics remain visible. Kickstarter purchased 58 Kent Street in December 2011. The designs for the renovations at 58 Kent Street are from the architectural firm Ole Sondresen and were submitted to the Department of Buildings in March 2012. Interior architectural plans include a lobby, an art gallery, a cafeteria, a theater and a lounge in addition to offices. The exterior architectural plans include a small rooftop addition, a new interior courtyard, and new ground floor windows and openings. The open-air courtyard is planned to be constructed in the middle of the building adjacent to the rooftop addition. The building’s original window and door openings, filled in over the years, will be reopened and new doors will replace former garage openings. The renovation plans for the building where approved by the Landmark Preservation Commission and were enthusiastically supported by District Council Member Stephen Levin and local Brooklyn Community Board 1. I’d love to bring a group of students from Pratt at some point!